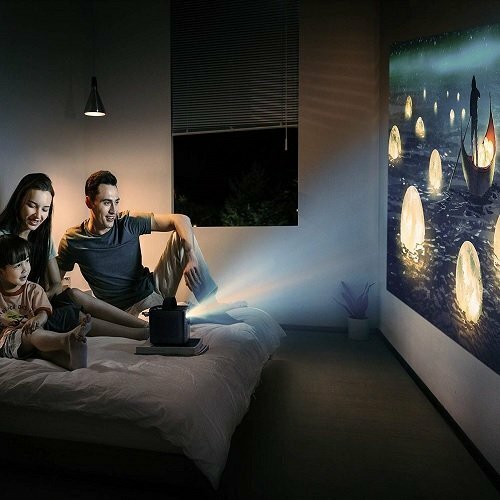 Nebula Mars II Transform any room into a home cinema to bring the movies to wherever the family is. With extended playtime, Android 7.1, and single-second auto-focus, Mars II creates a private theater just for you. Advanced DLP technology provides more detailed, more vibrant video than LCD technology. It can autofocus in a single second, ensuring you have a clear picture quickly. When you use Nebula Mars II you’ll feel like you’re in a movie theater. Make the great outdoors greater with 4 hours of non-stop entertainment.